Sachin Ramesh Tendulkar is an Indian cricketer widely considered by many to be one of the greatest batsmen of all time. He is the leading run-scorer and century maker in Test and one-day international cricket. He is the first player to score a double century in ODI cricket. Tendulkar is the only cricketer to accomplish the feat of scoring a hundred centuries in international cricket which includes 49 ODI and 51 Test centuries. He is also the only player to score fifty centuries in Test cricket, and the first to score fifty centuries in all international cricket combined. On 17 October 2008, when he surpassed Brian Lara’s record for the most runs scored in Test cricket, he also became the first b 12,000, 13,000, 14,000 and 15,000 runs in that form of the game, having also been the third batsman and first Indian to pass 11,000 runs in Test cricket. He was also the first player to score 10,000 runs in one-day internationals, and also the first player to cross every subsequent 1000-run mark that has been crossed in ODI cricket history. Tendulkar has been honoured with the Padma Vibhushan award, India’s second highest civilian award, and the Rajiv Gandhi Khel Ratna award, India’s highest sporting honour. Tendulkar became the first sportsperson and the first person without an aviation background to be awarded the honorary rank of Group Captain by the Indian Air Force. He has received honorary doctorates from University of Mysore and Rajiv Gandhi University of Health Sciences. He won the 2010 Sir Garfield Sobers Trophy for cricketer of the year at the ICC awards. Tendulkar was born into a Rajapur Saraswat Brahmin family, in Bombay (now Mumbai). His mother Rajni worked in the insurance industry, and his father Ramesh Tendulkar, a Marathi novelist, named Tendulkar after his favourite music director, Sachin Dev Burman. Tendulkar’s elder brother Ajit encouraged him to play cricket. When he was young, Tendulkar would practice for hours on end in the nets. If he became exhausted, Achrekar would put a one-rupee coin on the top of the stumps, and the bowler who dismissed Tendulkar would get the coin. If Tendulkar passed the whole session without being dismissed, the coach would give him the coin. Tendulkar now considers the 13 coins he won then as some of his most prized possessions. While at school, he developed a reputation as a child prodigy. He had become a common conversation point in Mumbai circles, where there were suggestions already that he would become one of the greats. His season in 1988 was extraordinary, with Tendulkar scoring a century in every innings he played. He was involved in an unbroken 664-run partnership in a Lord Harris Shield inter-school game in 1988 with friend and team mate Vinod Kambli, who would also go on to represent India. The destructive pair reduced one bowler to tears and made the rest of the opposition unwilling to continue the game. Tendulkar scored 326* in this innings and scored over a thousand runs in the tournament. This was a record partnership in any form of cricket until 2006, when it was broken by two under-13 batsmen in a match held at Hyderabad in India. At 14, Tendulkar was a ball boy for the India versus Zimbabwe game at the Wankhede Stadium during the 1987 World Cup. When he was 14, former Indian batsman Sunil Gavaskar gave him a pair of his own ultra-light pads. “It was the greatest source of encouragement for me,” Tendulkar said nearly 20 years later after surpassing Gavaskar’s world record of 34 Test centuries. His first double century was for Mumbai while playing against the visiting Australian team at the Brabourne Stadium in 1998. He is the only player to score a century in all three of his Ranji Trophy, Duleep Trophy and Irani Trophy debuts. Tendulkar’s rise continued when he was the leading run scorer at the 1996 World Cup, scoring two centuries. Tendulkar scored his much awaited 100th international hundred on 16 March 2012, at Mirpur against Bangladesh in the Asia Cup. He became the first person in history to achieve this feat. Incidentally, it was Tendulkar’s first ODI hundred against Bangladesh. 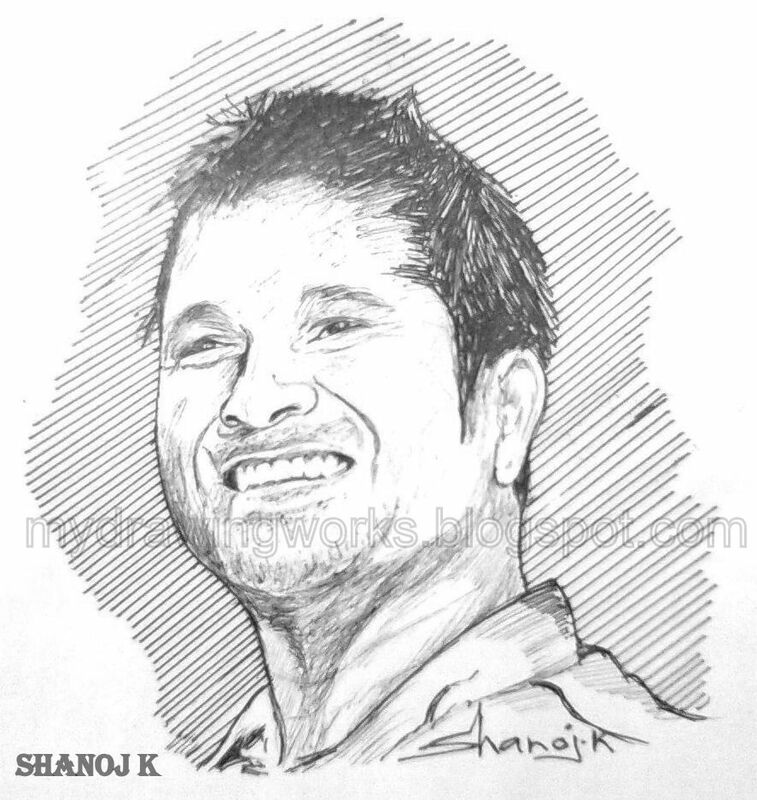 Former Indian stars exaggerated Tendulkar’s entry into world cricket up and those who had seen him play. Tendulkar’s consistent performances earned him a fan following across the globe, including amongst Australian crowds, where Tendulkar has consistently scored centuries. In April 2012, Tendulkar accepted the Rajya Sabha nomination proposed by the president. He is the first active sportsperson and cricketer to have been nominated to the Rajya Sabha.